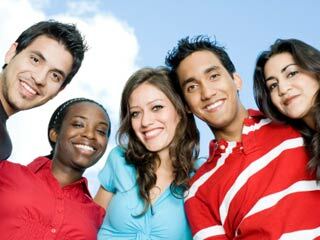 If you happen to be between the ages of eighteen and twenty-nine, you fall into a group known as the Millennial Generation. You are young adults preparing to make your mark on the world. What will that mark be? Will it be positive or negative? What will your generation make of your time on earth? A lyric from the Cat Stevens song, Where Will the Children Play? comes to mind: "Will you make us laugh? Will you make us cry? Will you tell us when to live? Will you tell us when to die?" The answer to these questions lie in the future, but hints of what the answer will be already sprout upon the young branches of the generational tree. Religion has an important role in life. A wish to learn more about the faith. A strong need to form a close relationship with God. Commitment to marriage and family are of extreme importance. Abortion and euthanasia are morally wrong. A tendency toward low Mass attendance. Tolerance toward practicing more than one religion. As one can see, there are both hopeful and troubling signs for the future. The Church needs to develop strategies for evangelizing not only the world, but also its own. These results reflect the social upheaval of past decades and the challenging realities of today. Obviously, chastity is a challenge in today's cultural trend of marrying in the late twenties instead of the earlier ages of the past. The effect of pluralism and even ecumenism shows itself in some dubious ways in this poll. Yet, there seems to be a strong foundation of faith to build on. The desire to learn more about the Faith and to grow closer to God invites the influence of God's love and the promise of the guidance of the Holy Spirit in the Church. The Body of Christ, of which the Millennial Catholic is a part, will enlighten and inspire them. My wish to all our young adult Catholics is to follow through on their desire to grow closer to God and to truly learn their faith. They will need to depend on the Truth to fend off attacks and to invite all others to the love and the hope that only the Faith can give. I pray that they may come to understand the source of the damage and devastation wrought on marriage and family life. Regrettably, the fruit of the seeds sown by many of my Baby Boomer generation, when twisted by sin, soiled much that was good. I wish that the young adult Catholic will appreciate the influence they will have on the world and generations yet to come. My hope is that the Millennial Catholic will own their Catholic faith and will live it powerfully. Once again, I turn to a lyric from Cat Stevens (Oh Very Young), "Oh very young what will you leave us this time? You're only dancing on this earth for a short while. Oh very young what will you leave us this time?"